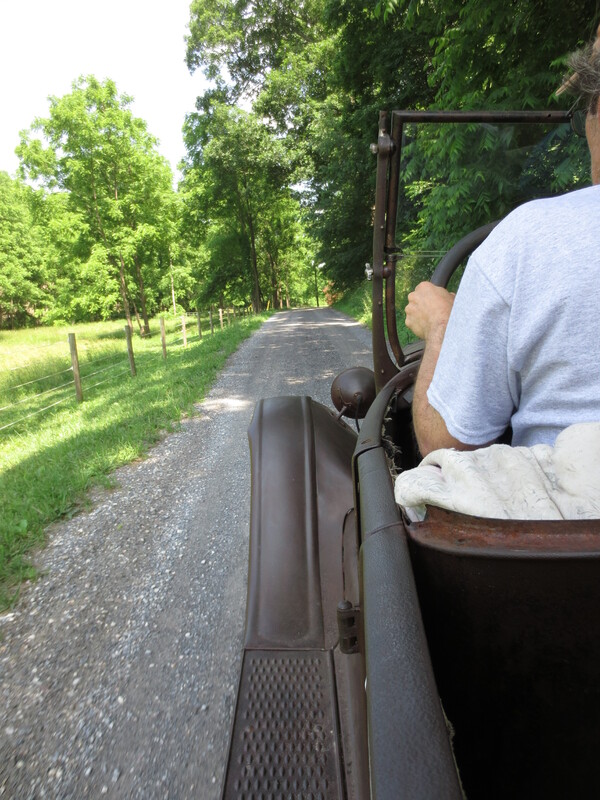 I have loved antique cars since I was very little. 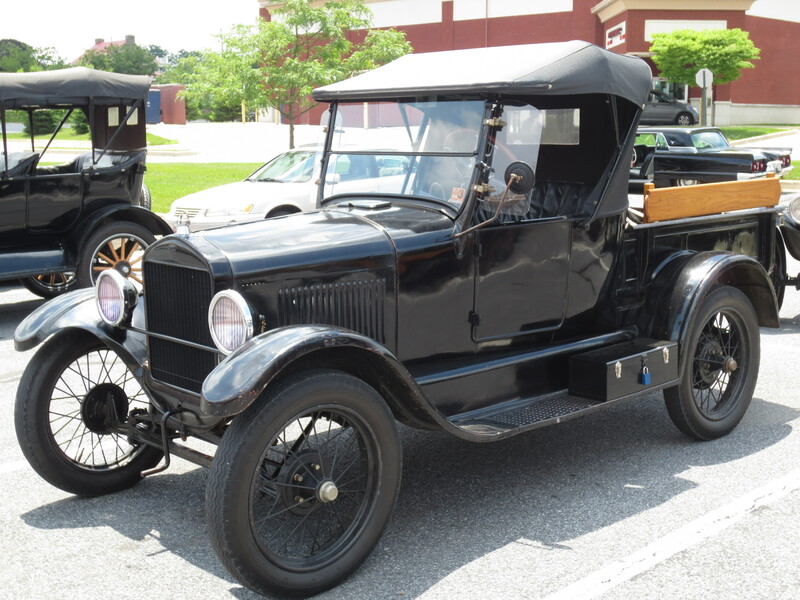 One of the first cars I fell in love with and obsessed over was the Model T Ford. I loved that for most of the time they were produced they were only made in black, I loved how many were made, I loved the look and the sound of them, I loved how a blacksmith could repair them. Sitting on the floor of my grandparents’ house when I was nine I remember watching a documentary on PBS about the Model T which just furthered my obsession. 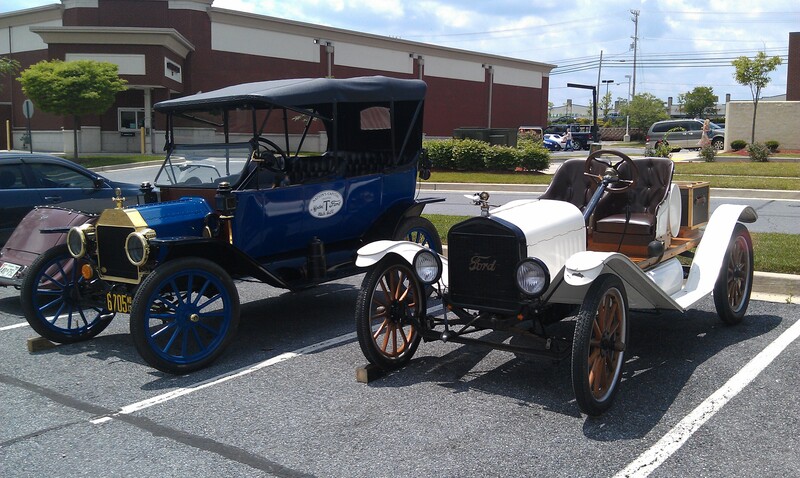 I met Mike Silbert of the Model T Ford Club a while back at a car show. 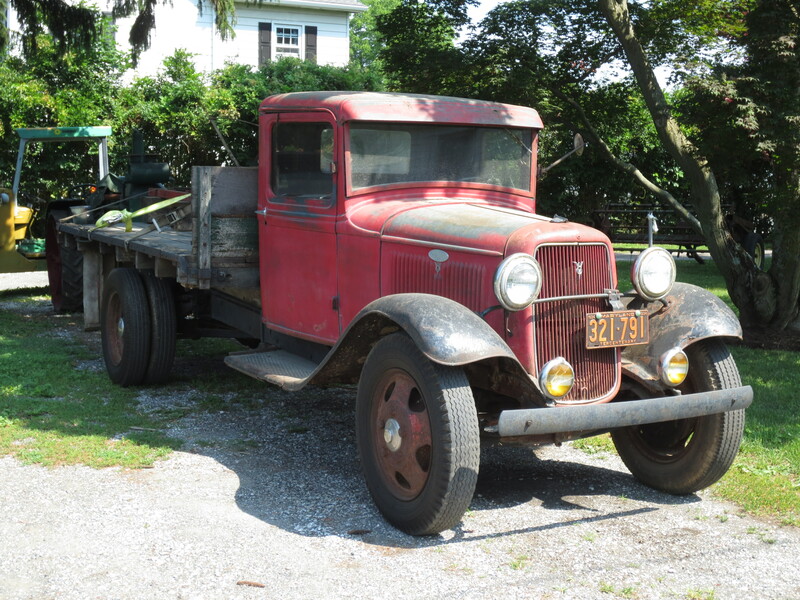 He has what I consider a beautifully preserved Model T which he brought back to running condition but otherwise kept as it was found in the barn that fell on it. A layer of spar varnish keeps its rust brown coating intact and dents and dings remain. 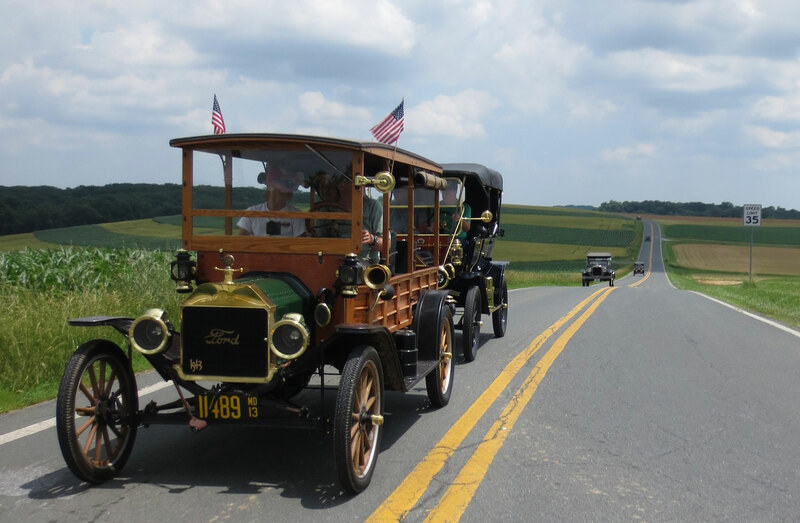 Mike put together a Model T tour in Carroll County and asked if our restoration shop could be the first stop on the tour. 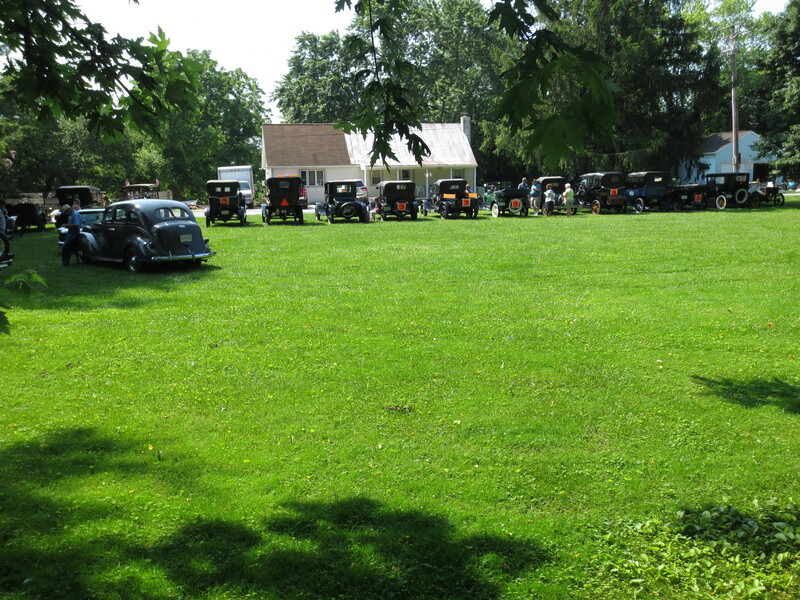 Initially I hesitated as the Great Willys Picnic in Kempton, PA was the same day, but I see Jeeps all the time, how often do I see twenty Model T’s all in one place? And we also have a perfect field for them all to pull into. Better yet I soon found out that Mike was going to let myself and friend Peter ride along for the day. The nine year old me was very excited, it was like Christmas!! 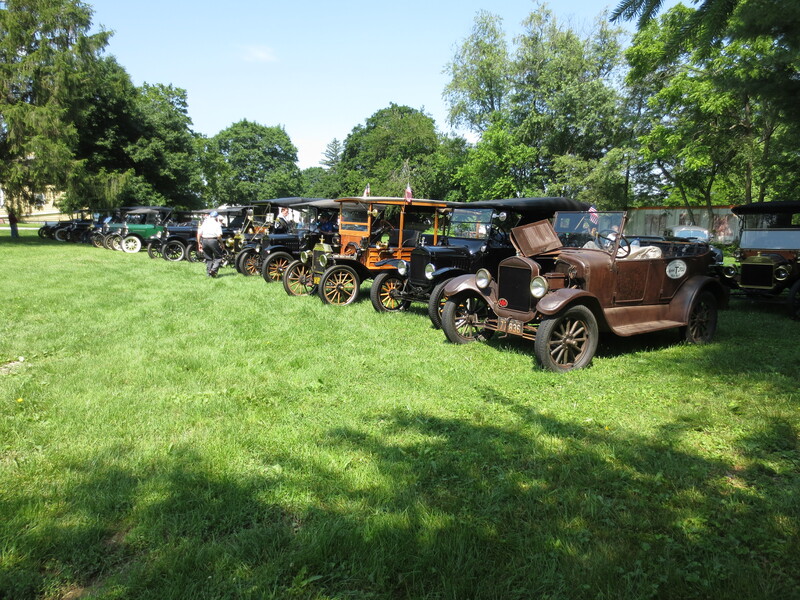 The day came and Peter and I sat on stumps outside the gate to the shop waiting and it truly was a beautiful thing as the Model T’s rolled in one after the other to our field. An added bonus was seeing that friends I reenact with were there with their 1913 Depot Hack. One of my favorite types of vintage cars. 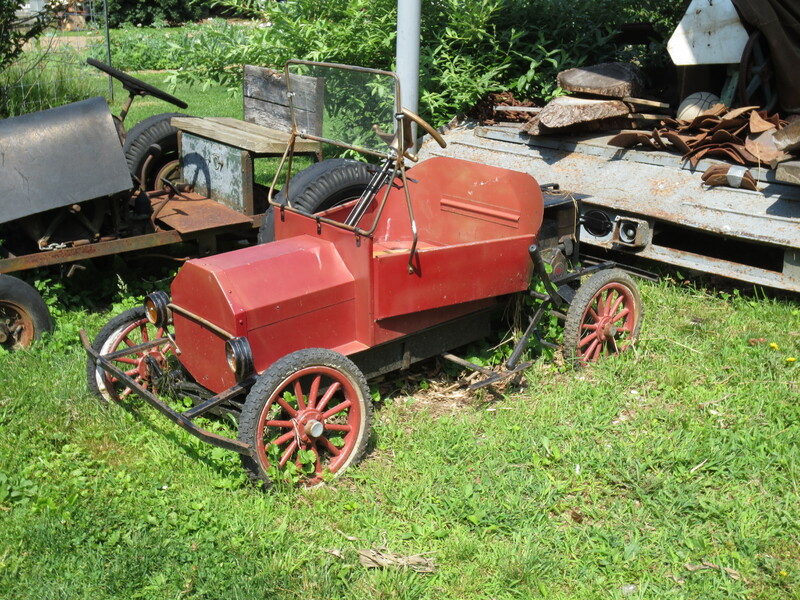 The day before the model T’s arrived I met our shop neighbor, Ira Barnes, who gave us permission to explore his collection next door. The Barnes collection is amazing but I will not post a variety of the photos I took as I do NOT want folks to bother them. They were very gracious to allow us to explore their place. After we gathered everyone up from seeing the restoration shop and the Barnes collection we hit the road and headed to Hampstead. 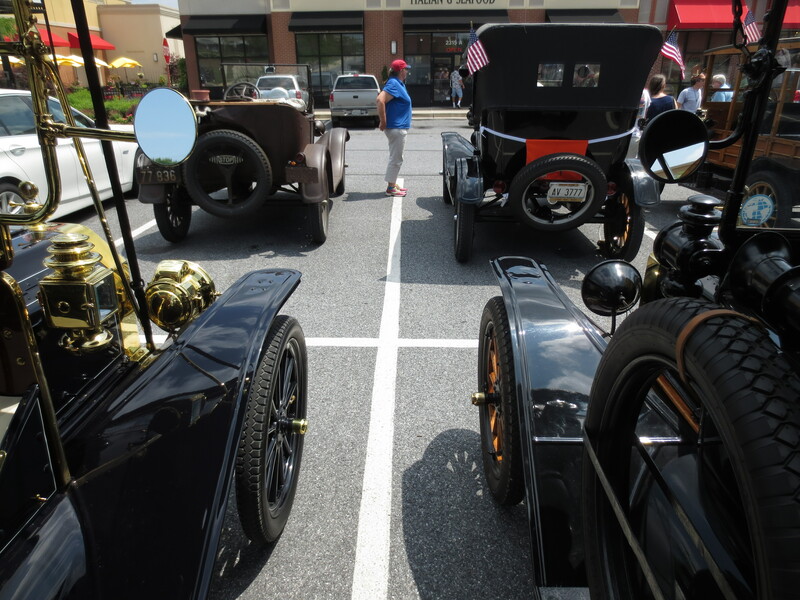 In Hampstead the Model T’s caught up with each other and gathered for lunch. There was only one casualty at that point, a T that lost high gear (explaining the workings of a Model T is a whole instuctional video or blog post in itself, so let’s just say without high gear the T went very slow.). 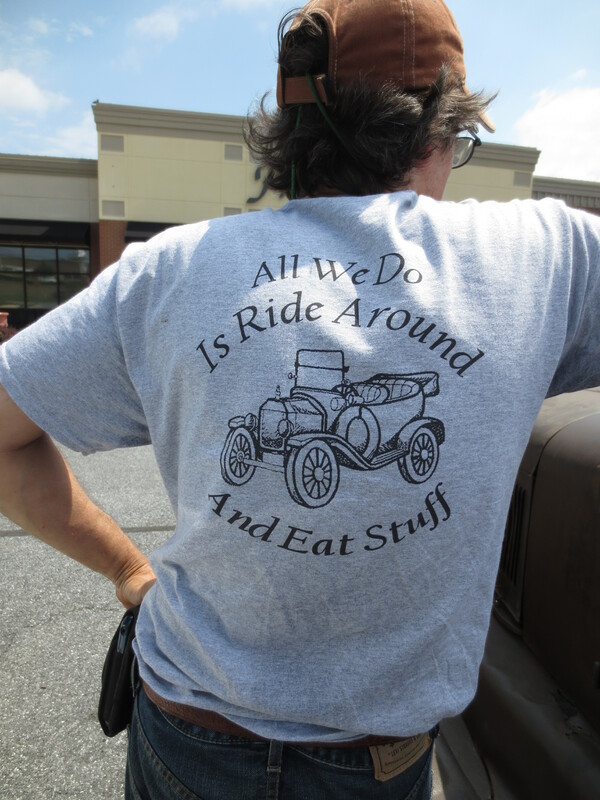 After lunch we regathered the forces and headed out on the road again. 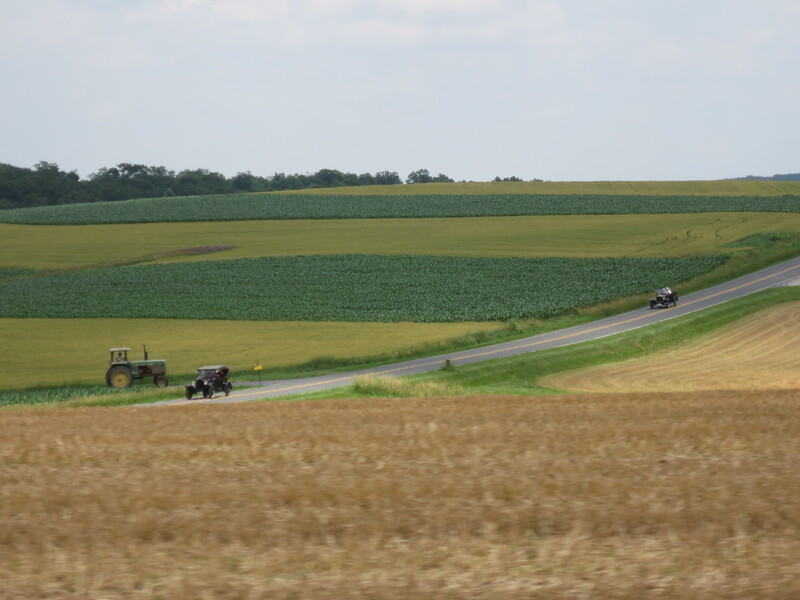 There were some beautiful old dirt and gravel roads just off the beaten path that we drove on as we rode to the farm museum in Westminster. 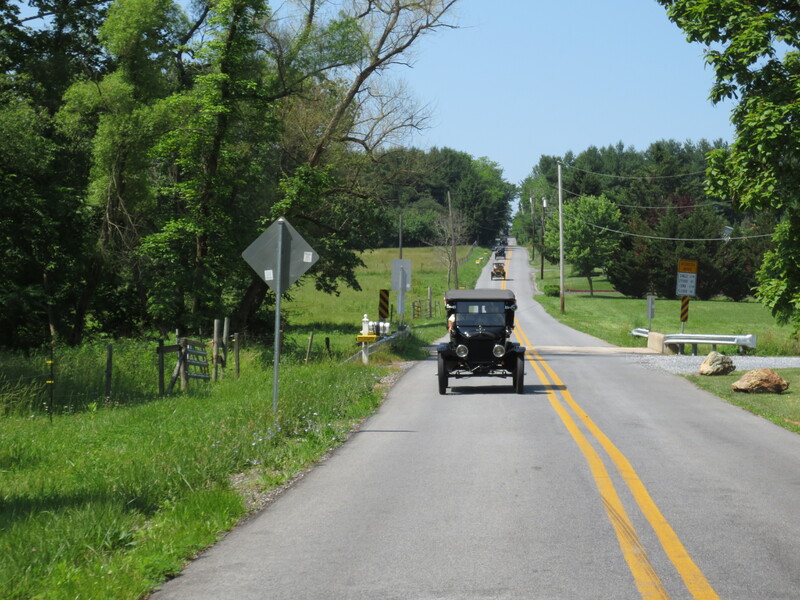 Boog Rd was a real timewarp as it was a narrow gravel road traveling between farms and houses, and right through yards. From there we were back onto main roads, and soon we traveled Gorsuch Rd into Westminster, honking at some very entertained donkeys on the way (we passed them going to Hampstead and the moment we honked they came running out of their shed all excited about the odd noise!). 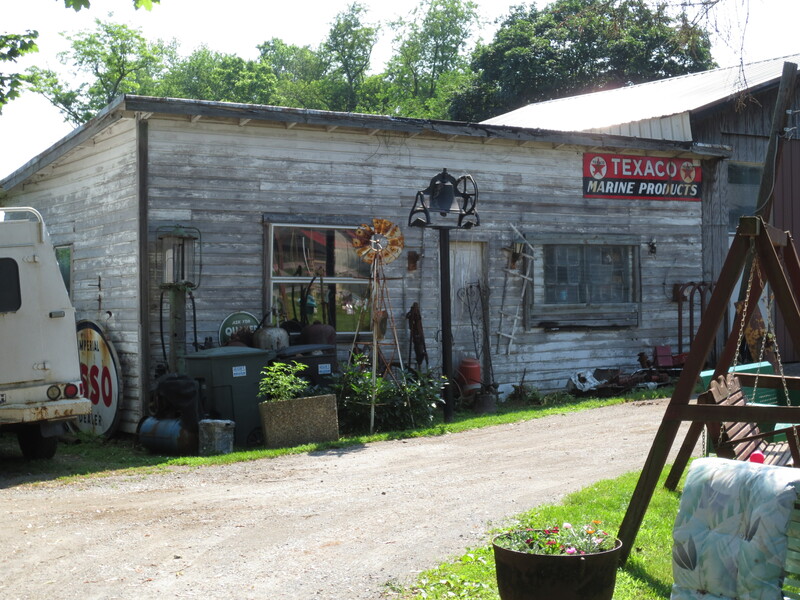 We finally gathered up again at the farm museum, T’s trickling in and catching up. 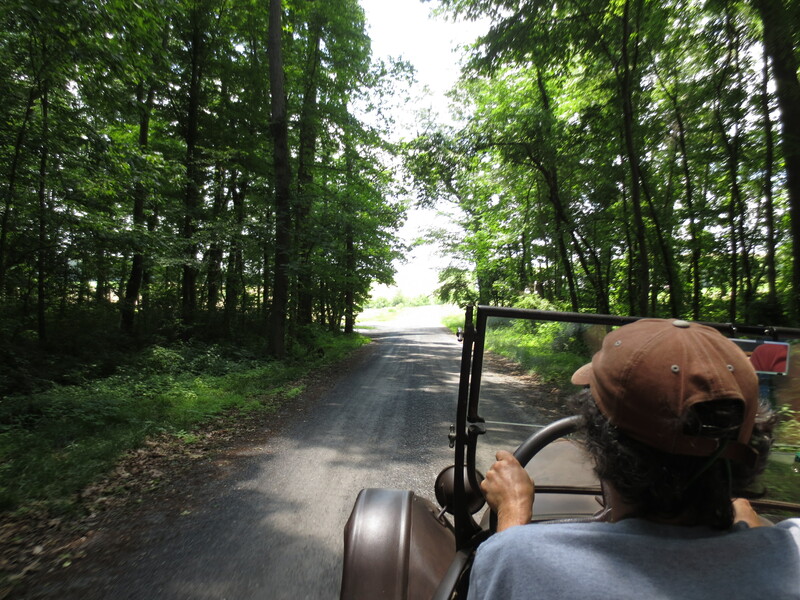 Peter and I needed to head back to the shop and Mike offered to give me a driving lesson. We stopped over at Westminster high and did some training in their parking lot. Mike then asked if I wanted to drive his T back to the shop. And so I did with him guiding me on how to think ahead and really plan out the drive safely. I cannot say thanks enough to Mike for taking us along and letting me drive. It was truly a fun day (despite the sunburn!) 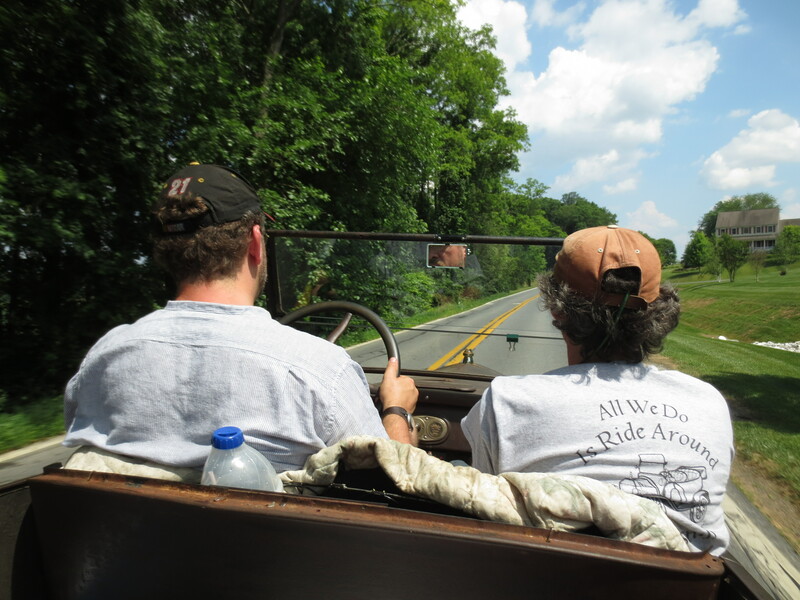 The last shot is of me at the wheel 🙂 I missed seeing my Jeep friends at the picnic, but I am extremely glad I did not pass up this opportunity!